If you’re a clever, feisty gal in a sci-fi, fantasy, or spy story, chances are you will use every weapon at your disposal, including your own sexual charisma. Throughout stories in the 20th and 21st centuries, characters have been overcoming obstacles by puckering up with poison. River Song from the Doctor Who series, for instance, uses hallucinogenic lipstick to mesmerize and distract whomever gets in her way. In the Batman comics, Poison Ivy’s kisses could either control her victims or kill them outright. Although poisonous or drugged lipstick has traditionally been used by women exclusively, a few men and even robots have taken advantage of this killer kissing action. While the ability to control or get rid of your enemies through a kiss sounds remarkable, albeit a little biblical, there is one major hole in this plot device that most of us either excuse or never consider. Namely, how do you avoid accidentally poisoning yourself? If you have ever put on lipstick or, at the very least, lip balm, you may notice that you involuntarily press your lips together and/or run your tongue over your lips as a reaction to the sensation of a foreign substance on your skin. If there were poison or drugs in your lipstick or lip balm, you could therefore not easily avoid absorbing a small amount of the poison yourself. Even if you somehow managed not to press your lips together, you would, presumably, need to talk/flirt your way into kissing someone. 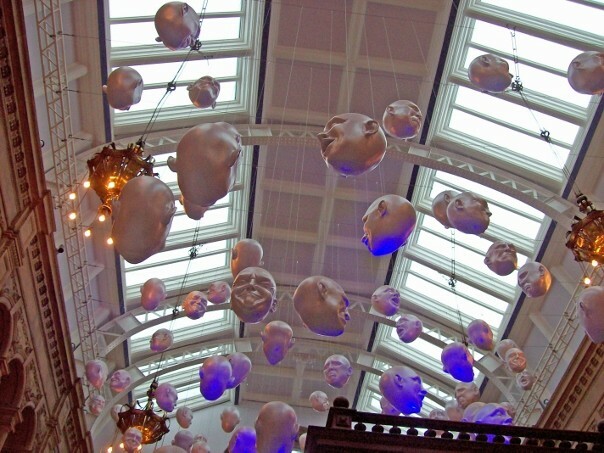 When you talk, your mouth produces saliva as a method to lubricate your vocal cords. Your tongue also moves during the action of talking, since we use our tongues to manipulate the air sounds to create words. Simultaneously, our bodies also use our tongues to move the saliva within our mouths. Simply put, the very action of talking could cause your tongue and saliva to interact with the poison/drug in your lipstick, resulting in infecting yourself before you even get to your target. Plot holes aside, there does seem to be some legitimacy/history with the idea of using lipstick as a transport for poison. Of course, none of these ingredients listed above were used intentionally to poison people. They were simply the best ingredients on hand that did the job necessary to create the right texture and color of lipstick. During the Renaissance, however, the mischievous use of poison was on the rise. Granted, people were using poison far before the Renaissance, but this era in history marked a change in the social schema of everyday life. Essentially, we were heading out of feudal barbarism and moving toward grand scale politics and political intrigue. With political powers constantly shifting and trade markets making merchants more financially powerful than kings, it was becoming far more necessary to take your enemies out covertly and save face rather than to be caught red-handed. Hence, the use of poison proved a simple yet effective tool to kill or temporarily incapacitate your target. There are several Renaissance stories that portray characters purchasing poisons that could be delivered through various fashions. In the anonymously written Arden of Faversham, Mosbie hires Clarke the painter to create two different poisonous artifacts: a painting; and, a cross. According to the story, if the victim looked at the painting, the poison somehow would’ve been strong enough to kill the victim instantly. Likewise, holding the poison cross could also be deadly. Although the cross seems more likely to be an effective murder weapon compared to the painting, since it involves actual contact with skin, neither object was used to do the deed. Perhaps the choice of including these useless poisonous relics was a deliberate decision on the part of the unknown author. Simply put, there were many alchemists and charlatans during the Renaissance who were selling a wide range of poisonous items, including lipstick and other cosmetics. While the poisons themselves were no doubt effective in many cases, the idea of transferring poison through various items creates too much risk for the person administering the poison. Furthermore, the idea of putting poison in/on a non-food item under the hopes that the intended target would touch or handle the item seems highly convoluted. In reality, someone wearing poisonous or drugged lipstick would only prove effective under certain circumstances. TV Tropes.org points out that Alexander Dumas’s tale, La Reine Margot, included the use of poison lipstick, but in this story, the murderer gave the poison lipstick as a gift to his target’s girlfriend. Thus the wearer of the lipstick has no foreknowledge of the deadly kiss she would give to her beloved. As an added bonus, the lipstick would also kill the wearer, therefore silencing her from revealing the real killer. If someone were going through the trouble of using poisonous or drugged lipstick, they would hopefully know what dangerous chemicals they were going to put on their own lips. From knowing that information, they could, hypothetically, plan ahead and inject themselves with the antidote. Depending on the poison or drug, and how much time they have beforehand, they could even build up a tolerance to the chemical. 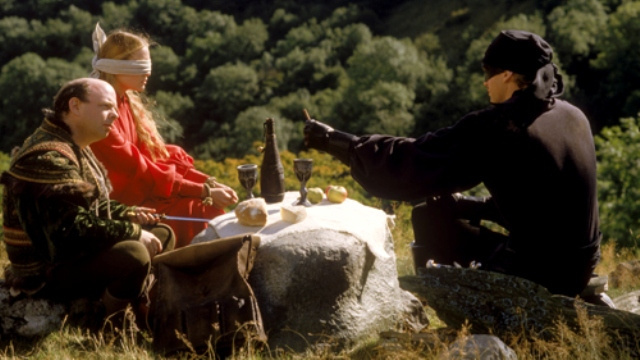 Consider the case of the Princess Bride when the masked man poisons both cups to rig the choice game. Since he has slowly built up a tolerance to the poison he administers, he was never in any real danger. In science fiction or fantasy stories, the lipstick wearer may not be attacking individuals of her own species. Therefore, chemicals that can be deadly to one species may be completely harmless to another, so she could easily poison victims without risking her own health. In a more real-world scenario, instead of species-specific toxin, the lipstick wearer could use allergy-specific toxins. For example, if her target had a deadly allergy to peanuts or shellfish, she could put those concentrated allergen chemicals on her lips to cause her target to go into anaphylactic shock. As far as options go, this last one is not ideal for someone who wants to make a career out of being a femme fatale. Nevertheless, if you have the poison ready, and kissing is the only option to take-out a target, then I suppose it’s a matter of how dedicated you are to the mission at hand.